Last year, I switched from developing on a dual-boot Windows and Linux machine to working on a Mac. During the transition, I felt my productivity slump: not only was I missing keyboard shortcuts that I had become very accustomed to (such as Alt+←, for instance), but some native MacOS behaviour drove me crazy (like ⌘+Tab cycling through applications rather than cycling through windows of all applications). I also found the Mac terminal to be lacking, missing important utilities, and running some outdated binaries. So, vowing to prove decisively the superiority of humans over machines, I decided to make my Mac Just Work* ™ * Like my PC used to. I'm writing this guide in case I fall through a time vortex and end up with a completely stock MacBook Pro again (you wouldn’t believe how often that happens to me). I’ve split things into three sections: terminal tweaks, awesome apps, and environmental enhancements. If you didn’t notice the brilliant alliteration, I cordially invite you to go back and reread that last sentence, I’ll wait. Homebrew is a command-line package manager for macOS. Package managers are great, they help you maintain a clean and up-to-date system by allowing you to keep track of all of the software that you’ve installed using them. You’ve already used a package manager before, it’s called the Apple AppStore. But unlike the AppStore, Homebrew allows you to tap into a universe of open-source utilities that are designed to be run from the terminal command line. Behind the scenes, Homebrew is really just an awesome wrapper for Ruby and git. Let’s work through a sample Homebrew installation to see how it all works. If hilarious xkcd comic popped up on your screen, you successfully installed wget using Homebrew. But what magic is this? So the installation process has actually compiled a specific version of wget (1.18), stored it in the Cellar directory, and symlinked the resulting binary file into /usr/local/bin, which has been added to my system path. Neat! But wait, how did Homebrew know to do all of that magic? So there’s no magic here: you’re using Ruby formulas to build source stored inside of git repos, and the built binaries are being symlinked inside /usr/local/bin. Rad! Neat, so how do I do the things? I recommend you go through the below list one by one so you understand what you’re installing and why. brew info <> will give you a quick summary and a link to more information. TL;DR: the list below will update the ancient version of Bash that ships with macOS, add a slew of other updated binaries, force a system preference for GNU utilities, and install some common dev tools, like gitand nodejs. That’s it. From now on, if you do a brew search you’ll notice some results are listed under Caskroom/cask. For these, you just need to install using the brew cask install <> syntax. Woot, let’s install all of the things! Of course, you probably recognize a lot of the software below, and some, like text editors and IDEs, are truly a matter of personal preference. That being said, these are all items I find best-in-class at what they do. I’ve added notes below for some of the lesser-known entries. Asepsis stops the .DS_Store pollution caused by the Finder browser. .DS_Store files store Finder preferences, and though they are hidden, they will pollute your working git branch and show up in an ls -ahl. Asepsis causes .DS_Store files to be created in a central folder instead. On Windows, Alt+Tab cycles through application windows whereas on macOS, ⌘+Tab cycles through applications themselves. Sure, once you’ve cycled to the application you want, you can then cycle through its active windows using ⌘+` , but that’s a different experience than Window’s style Alt+Tab. If you want it to just work, and to manage global hotkeys in general, check out Apptivate. On Windows, Alt+ arrow keys reposition a given window and resize it to take up half of the page. This is extremely useful in a variety of situations and I was surprised to find it missing in macOS. But fret not, Moom returns this behaviour, and allows for much more configurability to boot. This last section delves into fine-grained system and environmental tweaks. These will take a little more time to set up, but the investment is surely worth it! Paul Irish keeps a beautifully commented bash osx defaults file ;that will help you fine-tune your macOS environment down to the smallest details. This file is just one of the many dot files in his https://github.com/paulirish/dotfiles/ repo. They’re called dot files because they’re the invisible configuration files (prefixed with .) that sit inside your Mac / Linux home directory and store your preferences. Though you could read through Paul’s list and copy settings you like one at a time, the recommended usage is for you to fork his entire repository, change each file to your liking (or remove them entirely), and commit the changes to your own fork. Not only will this serve as a cloud backup for your preferred local configuration, but it will also allow you to make any foreign shell instantly more familiar. For instance, in my fork of Paul’s repo, I’ve created a vagrant branch. One of the first things I do when I fire up a fresh Vagrant box is git clone my dotfiles repo, git checkout the vagrant branch, and run the symlink-setup.sh script (which creates symbolic links of the dot files in my repo inside my home directory). And just like that, a fresh Vagrant box has all of the aliases, shortcuts, vim preferences, and configuration defaults that I’m used to on my local machine. Having a turbocharged development environment is great, but what if you’re working on multiple projects, or projects that require supporting cron jobs, java applets, and other services that you don’t want running on your local machine? Or, even more to the point, if you want to do your development in an environment that is as close to the production server as possible? This is where Vagrant and VirtualBox come in (and luckily, you’ve already installed both with Homebrew, above). There are many ways to use and configure Vagrant, but I’m going to be narrowly focused on how to use it to configure a local Scotch Box LAMP machine. Vagrant has many plugins that can automate some of the below steps, but I’m avoiding them for now so we can see the magic that’s happening. Once you’ve got a fuller sense of all the pieces, you can install a Vagrant plugin simply by typing vagrant plugin install. Put simply, Vagrant helps you manage virtual machines. 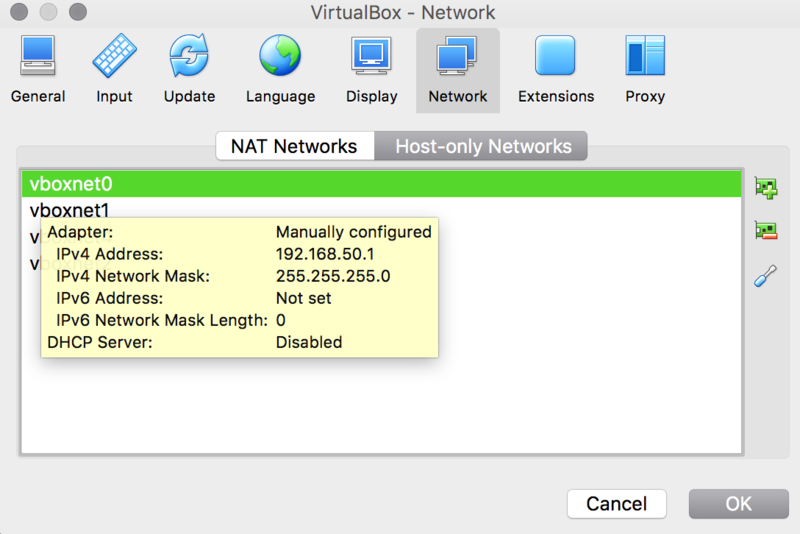 These can be local machines, such as the one we’re about to configure with VirtualBox, or they can be remote machines hosted in the cloud. Vagrant is also provider agnostic, which means that you can use it just as easily with Docker and Hyper-V. The creators of Vagrant maintain a list of many public boxes that you can download and use for free. Put simply, VirtualBox allows you to run multiple sandboxed operating systems on the same machine. For instance, even though I’m running macOS, I can use VirtualBox to install Windows and Linux, and access those operating systems through my macOS environment. The best part is that I don’t have to modify my system in any way. For all intents and purposes, the virtual machines I create behave like any other app on my computer and can be just as easily installed or removed. Okay, I’m with you so far, but what’s Scotch Box? Scotch Box is a Vagrant box that’s based on Ubuntu 14.04 LTS. It’s been preconfigured with almost everything you will need for basic web development. So instead of starting with a bare install of Ubuntu and manually installing every package necessary in a LAMP stack, we’ll just use Scotch Box instead. Wow, this sounds like a lot of work, how many million steps are there? This is the best part! Working with Vagrant boxes is fast and efficient. The first time you run this command, Vagrant will automatically download Scotch Box, which will take a few minutes. Then, it will configure VirtualBox, your local environment, and the virtual machine. You will also be prompted for your macOS user password, which you’ll need to type in. That’s it! Now you can open up a browser window and navigate to http://192.168.50.50/ where you’ll see whatever you put inside your index.php file. If you change the contents of index.php and refresh your browser window, you’ll see the changes reflected in real time. Rad! Within a few moments, you’ll find yourself logged into your new local development server. This server is completely sandboxed from any other Vagrant projects you create, so you can go nuts and change any environmental variables, MySQL configurations, and Apache vhosts you want. And if you navigate to /var/www inside the Vagrant box, you’ll see all of the files that you placed inside your project’s www folder. Changes in this directory are bound both ways, so if you change a file while SSH’ed in the Vagrant box, your local copy will be altered as well. Regardless of the time of year, the result of the above command is likely to be a forecast for rain. #vancouverproblems. To end your SSH session, just type exit on the command line. So how does the file sync magic happen? It works through Network File System (which we stipulated in the Vagrantfile using :nfs => true). You can see the entry Vagrant makes to facilitate this by viewing your /etc/exports file (which, incidentally, is why you were prompted for your user password during the vagrant up). And how is the Vagrant box you created being managed? All of that happens through VirtualBox and is managed by Vagrant. If you’re curious, launch the VirtualBox Manager and you’ll see that you now have a new machine called dev.local. The name of this machine, dev.local, was set in the Vagrantfile above. Now your browser will resolve dev.local and www.dev.local to 192.168.50.50. And since we’ve seen how the magic works, we can install the vagrant-hostmanager plugin to automate the /etc/hosts additions in the future. Finally, when you’re done working with the box you created and want to shut it down, you just need to type vagrant halt in the project directory. You’ve got vagrants at the terminal, and brews and casks in the cellar; what you do with all of that is up to you!